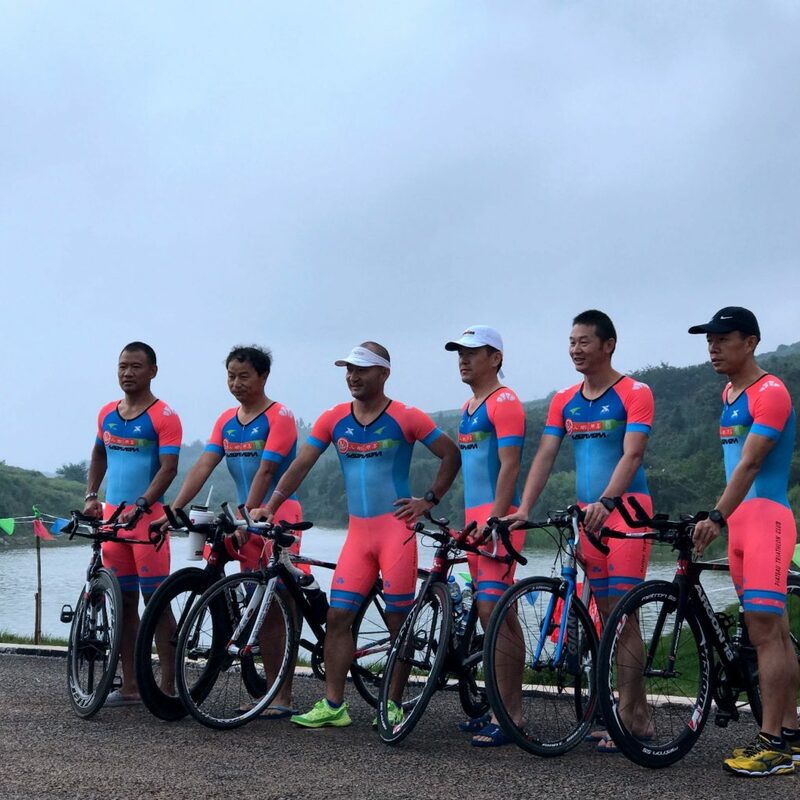 Shangri-La Duathlon attracted many triathlon clubs in 2017, one of them is Kunming Highland Triathlon Club last year and they have achieved good results. Today, the club’s founders and last year’s 40-year-old champions will share their experiences in interviews. 1. Please give a brief introduction about yourself. Haitan:I’m Ting Wang, nicknamed online “Haitan”. 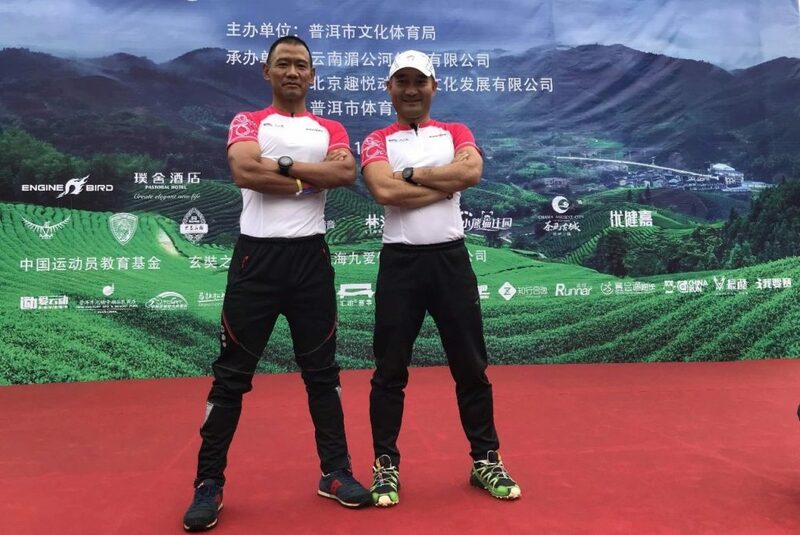 I’m the founder of Kunming Highland Triathlon Club. 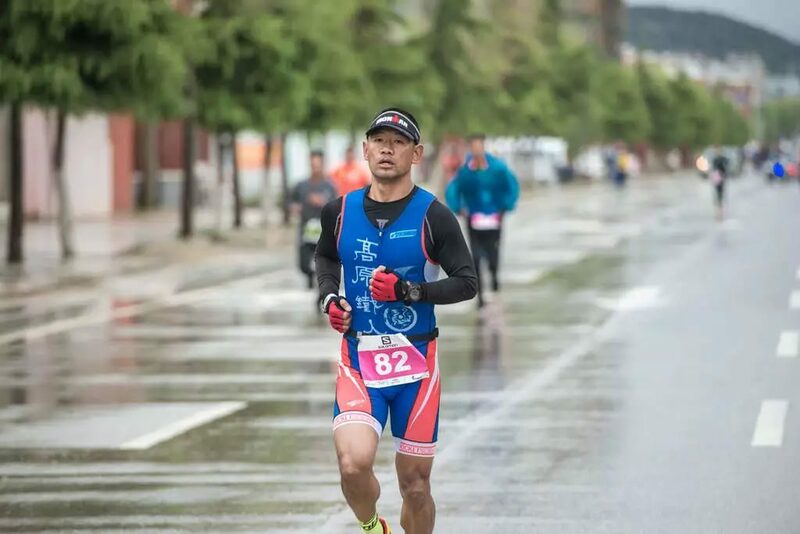 Dahai:I’m Linhai Gu, people call me Dahai, 46 years old, from Kunming HighlandTriathlon Club. I work at Xi’nan Non-ferrous Kunming Reconnaissance Design(Academy)Co.,Ltd. I started running in high school but just run up to 3 kilometers at that time. After work, I was fatter and fatter, even up to 80 kg.To lose weight, I started cycling in 2010. I met the club by chance and then got into triathlon. 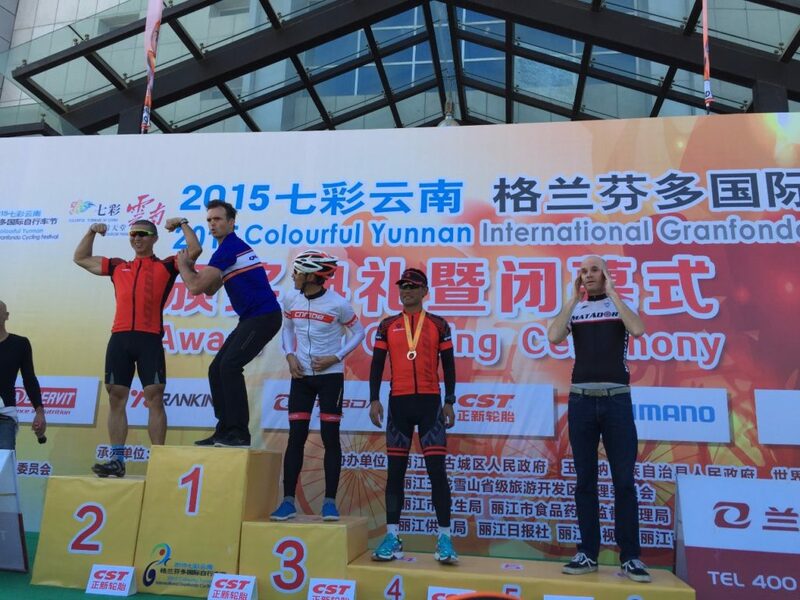 In 2015, I raced in Chengdu Jintang and Chongqing Changshou Olympic Triathlon. I made good performance in run and bike leg but almost thelast one to finish the swim leg. 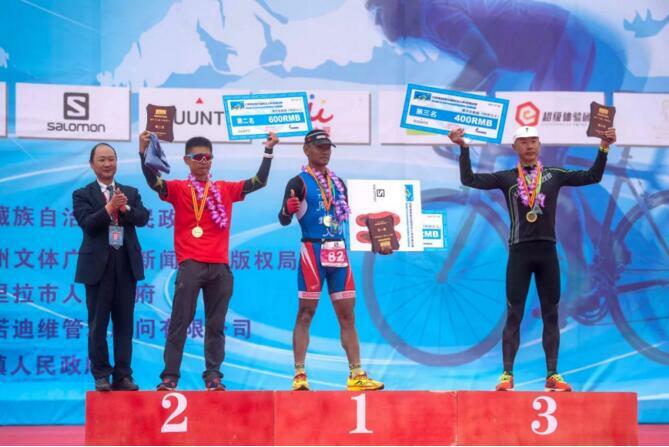 Then I learnt freestyle swimming and finished Ironman Penghu Taiwan, Ironman Dahairye Korea and Ironman Langkawi. 2. In triathlon, who do you admire most? 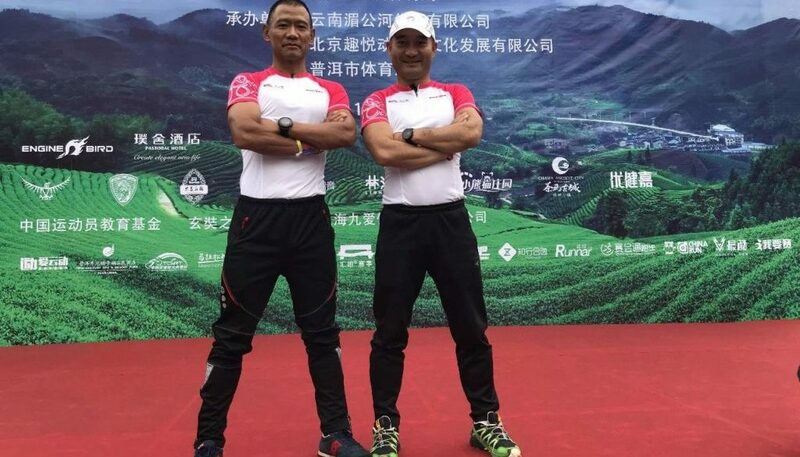 Haitan:Qi Dang, who has devoted himself in promoting triathlon in China these years.Also, Mark Allen, Chris Mc Cormack and other triathlon athlete. Dahai:Qi Dang, Buzz and Chunxu Hu, of course. Especially, Dawo Dahai. He is of the same surname with me and finished Ironman in his seventies. He is an examplefor me. 3. How did you get into cycling, running and even triathlon? Why did you choose triathlon? Haitan:I started running and cycling when in primary school. In 2008, I finished my first triathlon race in Weihai. In fact, since I saw the first Ironman race in Hainan in 2007, I have got into that. Dahai:I started running in high school while just run several kilometers at that time. In 2010, I got into cycling and joined many cycling races. In 2015, I began triathlon. For me, triathlon is very interesting, and one can hardly gethurt. 4. Where do you do the daily training? What’s your training intensity and frequency? And how do you promote yourself based on the training data? Haitan:I seldom have done systematic training since 2012. The club activities tookmost of time. 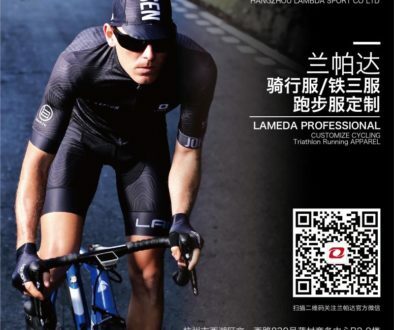 I do some trainings with the club members occasionally, most ofthem at Fuxian Lake and suburbs of Kunming. Dahai:On weekdays, I run along the Panlong river, swim at the swimming pool andcommute by bike. At the weekend, I train myself in Chengjiang, Taiping or QinglongGorge. I take a rest on one or two days a week. I usually do the training in acomforting way. Sports are for health and happiness. 5.What’s your sports concept? Between cycling and running in a duathlon, which one is toyour advantage? Haitan:Get triathlon in my life and be healthy and happy. What’s more, run the KunmingHighland Triathlon Club successfully. Between running and cycling, I’m good atcycling. 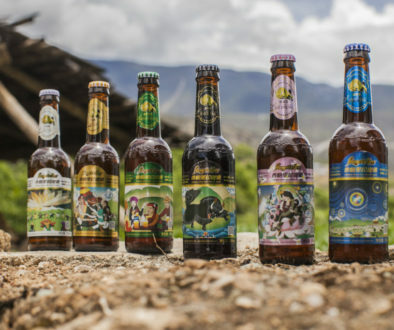 Dahai: Healthand happiness. Compared with running, I’m good at cycling. The sense of speedmakes me excited. 6. 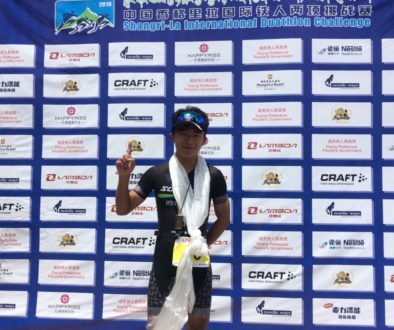 Dahai, you won the champion of age group and the second place overall in 2017 Shangri-La Duathlon. Only 17 seconds behind the winner. Could you share your strategy inthe race? Dahai:I think I got the result by chance. Some elites didn’t join the race. Inaddition, the fastest participant finished the race near 2 minutes before usbut he got the time penalty as he broke the race rule. Then I jumped to thesecond place from the third place. Haitan, you won theninth place of age group in 2017 Shangri-La Duathlon. Are you satisfied withthat? If the event adds swimming leg, do you think you can make greaterperformance? After all, you do well in swimming. Haitan:Hah, I don’t aim at race now. Just for fun. 7. Do you have any suggestion for other participants in the upcoming event? Especially regarding race equipment, training plan, training supplies and sports recovery. Haitan:That is complex. The highland is a big problem. Participants should prepare forthe high altitude in advance. Read through the event reDahailations and makeproper plans. Dahai:When running and cycling, use the nasal breathing to adjust to the highlandclimate. Triathlon handlebars will help to have a rest. In terms of supplies,the total distance is 50 km, not long. Drinking water can meet the needs. 8. As an experienced athlete, do you have any suggestion for the service of the organizing committee? Haitan:The organizing committee is experienced in event service. I’m satisfied with that. 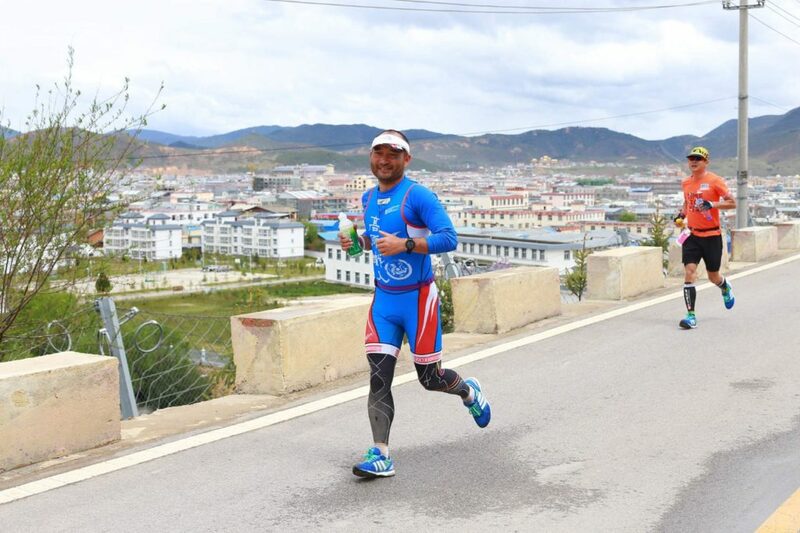 Dahai:Shangri-La Duathlon is the best-organized event I have joined in China. Good event service. 9. What do you think about the development of duathlon in the future? Haitan:It has great potentials in the future. Dahai: Duathlonhas great potentials in China. There are so many people enjoying running and cycling. While swimming is a little hard for some people. As the development of sports concept, both duathlon and triathlon will surely thrive in the future. 10. What has triathlon brought to you? What do you enjoy doing away from triathlon? Haitan:Triathlon has great effect on me. It makes me mature, progressive, healthy andoutgoing. I love triathlon. Dahai:By triathlon, I’m healthy in both body and mind. Triathlon makes me energetic.In the next decade, I plan to finish ten ironman events. As a result, I getinto nothing away from triathlon.